Was the Welsh neoclassical sculptor John Gibson one of the family? 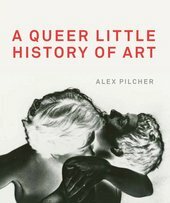 The author of A Queer Little History of Art (Tate Publishing, 2017) Alex Pilcher talks about a hunch, and the challenges of uncovering queer art’s story when the evidence is seldom direct. A book signing follows the talk.